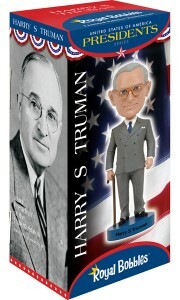 Harry S Truman was the 33rd President of the United States, serving from 1945 to 1953. He is best remembered for his leadership during World War II. He popularized such phrases as “The buck stops here” and “If you can’t stand the heat, get out of the kitchen”.